A Super Holistic Raw Vegan Love Angel for ever! My job is to give people hope that they might live their best life possible, and provide the skills, knowledge and support to help them achieve this. Cédricia is like a spiritual gardener in that she helps us to find the fertile soil within ourselves and show us where to plant our own seeds. Cédricia is a woman born and educated in a vegan lifestyle, who has spent part of her life in Paris and who is now residing in the south of France in the region of Provence. At the same time deeply sensitive and very energetic and owning an incredible will power, she once was an artist and composer but her life is now dedicated to plant trees and to educate the world about living foods and lifestyles respectful of nature. Sometimes known as the French Anastasia for her infinite love of nature (by reference to Vladimir Megre’s Ringing Cedars series), her dream is to embrace a simple life, growing trees and eating their fruits straight under them. Cédricia also founded the Francophone Living Food Community website ccru.fr which already counts over 1000 members. Her impressive dedication is certainly due to the many hurdles she overcame in her life till today. I’m worried for the planet’s future and I’m sensitive to ecology and sustainable development. I believe in values of opening to others and of respect of differences. I think that being is more important than having or seeming. I feel I am part of a greater whole and I’m interested in personal development. Above all, I wish to embody these values and pass them on in the frame of your social environment; I then share the values of Cultural Creatives! I don’t like labelling people, reducing them to their job. Allowing people to express their singularities is important.I’m always questioning everything. My aims is to be coherent globally. This suits me fine as creative woman is attracted to so many things! I’m a real Cultural Creative Leader. 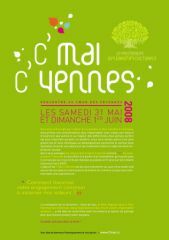 I created a “C’Mai C’Vennes” Festival in 2008! People I met led me to my choices. I have questioned my diet, my way of living… I practice meditation. I enjoy traveling, hiking and I learn dances of world culture and yoga . I live a simple life and eat Rawvegan and living food. I participate for living foods development in Europe with my network called “C’Cru”. One of my main goal is to plant fruit trees everywhere and I have started a non-profit organisation called “C’Mai” . “I’m concerned about the environment, solidarity; I advocate for organic products, living food, defence for animals, alternative medicine. I love nature and the earth. I’m worried about her destruction. I feel very worried about the state of our planet and I try to see what I can do”. Feeling different from others has led her to become very tolerant and curious of others. I went to China in year 2000. I have practiced Chinese since secondary education in France. I obtained a Chinese Masters in Eastern modern literatures at the Eastern National Institute of the languages and Civilisations. Currently, I have studied China’s History and Art. (“Regards d’ailleurs”, music, cinema, architecture, theatre, dance, penmanship…). “When I was a girl I used to take my sister to Mandarin classes. She stopped; I carried on. It was a shock. I really feel at home there without any rational explanation. There is a huge ecological spiritual project near Shanghai “. I have been close to very ill or terminally ill people. My grand-mother, a friend, her mother not long ago and now my father. My parents have already drawn the path. Through those experiences I have come to question the meaning of my life. “Western medicine had declared my grand-mother terminally ill but she lived for another ten years using homeopathy, osteopathy and trace elements. Taking care of close people is very important to me it is a decisive element for my choices. I went through a very difficult period. I was wondering what was there after death, what was the meaning of my life, if I was in harmony with my feelings. I had to step back. But finally it did open new horizons. I attended different self-development workshops among which Vipassana meditation was one of them. Today I try to be aware of the present moment. I save moments to retreat into myself without being in a meditative position throughout the day. I do so when I dance, when I sing, when I play music but also when I am doing daily routine activities”. This way I feel completely involved in my life and realise I’m not the only one “looking for” something different. I was involved in an organic cooperative. I have also belonged to a Local Exchange Trading System and SERVAS . I try to let go of material things; travelling helps me. I was able to exchange flats among other things. I don’t have much. I sold my books, I gave all thing I don’t use during one year to caritative associations… On the other hand I feel fulfilled! The fewer goods I own the closer I feel to people and to myself. I live one day at a time and always give priority to what is important to me. To people in pain, I can send my prayers. I served as a visiting Music Education lecturer, I have gained my experience in diverse sectors such as conservatoires, secondary schools, associations, choirs, bands, colleges and universities. I have experience coordinating Music Education programs, recruiting and advising students, organizing and supervising music teacher’s trainings, developing music education curricula and participating as both member and chair of association committees. I have worked as a Music Education teacher and as a musical artist (music composition, performance). I taught creative music and is fascinated by the questions of musical creativity. I have generated numerous works for young choirs and I awas active as a guest clinician. I was an choir conductor. I have recorded and written songs for all ages. I was an author, lecturer. I presented workshops on such topics ranging from dance, music. I have worked closely with children and has seen the potential for presenting these powerful, yet basically simple skills in a way that could be understood and used by anyone. I create Earth Hymn . I’m sensitive to the state of the planet and dream that this song becomes universal and is regarded as a true anthem for the Earth. I offer these texts and this music to all singers and musicians who wish to perform them. I wish to diffuse these versions on several continents. I propose for all people to hear and sing the hymn in celebration of our planet Earth. My dream is that it will be sung to celebrate our Earth. It is a very joyous piece. Currently the text is available in English, Portuguese, Spanish , Chinese and French. All arrangements and translations are welcome; and they are adaptable to the personality, the musical style, the language used by the interpreters. All original proposals are possible! The creation of Christmas Star is to celebrate the famous Ventoux Hill “Mont Ventoux” which is a mountain in the Provence region of southern France. It is by far the biggest mountain in the region and has been dubbed the “Giant of Provence”. We offer this song to the Brante village. All music scores are edited by SUISA. Thank you to Liuchen for editing my scores. Graduated as the top student from the Wuhan Conservatory of Music in China, majoring in vocal music education, she started studying Guzheng in 1994 ; since 2000, she started to study in Piano and Vocal music. I worked on how Art Education is taught throughout the world. My thesis examined the Assessment of Music Students in Music Schools in France: How music teachers assess pupils’ vocal performance and their method of marking and evaluation. (PhD Presentation, Sorbonne University, Paris, France, 4th of December 2004). The aim of this research showed that MusicTeachers are responsible for assessing their pupils’ vocal performance: How do they mark and evaluate them? The experimental research called “Q-test-vocal” lasted six months (December 2002 to June 2003). We discovered that the teachers assessed the vocal performance according to their personal teaching objectives. They found that peer assessment or self assessment were both very difficult. Although it was the first time that they had ever recorded their pupils, they appreciated the process very much and they thought it was a very useful instrument of evaluation. As a music teacher, I have had the opportunity to directly apply and observe theoretical concepts in music pedagogy to the students I taught. I have been trained in active methods and incorporates these methods as well as other educational systems into my direct teaching experience. Thus, my teaching reflection is carried out as much on a theoretical level as on a practical one. “Dispositifs de formation en évaluation formatrice”, Questions Vives, September 2008. Interview of Cedricia, AVIS, May 2008. ” Quand Amélia rencontre son jardinier-alchimiste”, from “Carnets d’une Créactrice”. “Paroles de végétariens et végétariennes…”, (in press). ” La révolte contre l’argent”, (in press), 2008. Symposium : Dispositifs et Fonctions de l’évaluation artistique, musicale, physique et sportive , ADMEE, Geneva, 2008. Peut-on parler d’évaluation formative dans la pédagogie du piano?, In Pianistes du XXe siècle : critique, pédagogie, interprétation (Ed.Danièle Pistone), Paris, University of Paris-Sorbonne ( Paris IV), Observatoire Musical Français, série “Conférences et Séminaires”, n°33, 2007. “Du besoin à la demande : comment trouver une stratégie pour répondre à mes besoins vitaux ? “, Allers-retours, A.C.N.V., November 2007. Après le symposium international « Évaluer les effets de l’éducation artistique et culturelle » (Centre Pompidou, janvier 2007) , Arts Evaluation Symposium review, co author Laurent Guirard, L’Education musicale, September-October, n°545-546, 2007. ” Volem rien foutre al pais”, Passerelle Eco, October 2007. ” Parole de terre” by Pierre Rabhi, Passerelle Eco, August 2007. Article, IFUW Young Member’s Newsletter, June 2007. Report Cultural Creatives meeting, Leysin, May 2007. L’enquête sur les créatifs culturels en France, Association A.B.C., Editions Yves Michel, 2007, 132 p.
” Formative Assessment in Music Education: Research on the Transfer of Knowledge During a Short Training Course”, Visions of Research in Music Education, vol 9/10, 2007. De la notation à l’évaluation en Education musicale : des représentations d’enseignants, PhD Dissertation, University of Paris-Sorbonne (Paris IV), 2006, 638 p.
” Le musical c’est du sonore construit par une culture et reconnu”, in BOUDINET Gilles and FIJALKOW Claire (Ed. ), Mélanges pour Jean-Pierre Mialaret : de la fondation des Sciences de l’Education musicale , Paris, L’Harmattan, Collection “Arts, transversalité, éducation”, 2006, p. 163-174. “Attitudes of Music Teachers Concerning Final Examinations in the French Music Conservatoires”, International Journal of Music Education, London, Sage Publications, vol. 24, n° 1, 2006, 20 p.
sur les facteurs contribuant aux transferts, lors d’un stage de formation, à propos d’évaluation formatrice en Education musicale”, Mesure et Evaluation en Education, A.D.M.E.E., 28, 2006, 10 p.
Symposium: Etat des lieux et spéficité de l’évaluation en éducation artistique, physique et sportive,A.D.M.E.E.-Europe, University of Luxembourg, 2006. ” Attitudes of Music Teachers concerning Final examinations in the French Music Conservatoires”, M.E.N.C. Salt Lake City, USA, 2006. “Assessment and Examinations in French Conservatoire” , The Reflective Conservatoire: Apprentices and Scorcerers?, Guildhall School of Music and Drama, SEMPRE, unpublished, London, 2006. ” Lifelong Process”, Royal Music College, London, UK, Seminars organised by Janet Mills, 2005. “L’évaluation musicale en Angleterre”, L’Education Musicale, May-June, n° 523-524, 2005, p. 24-28. “ L’évaluation musicale en Angleterre”, L’Education Musicale, March-April, n° 521-522, 2005, p. 36-39.
du Diplôme d’Etudes Musicales”, Journal de Recherche en Education Musicale, University of Paris-Sorbonne, OMF, vol 3, n° 1, Spring 2004, p. 54-61. ” Chemin d’un doctorant”, Perspectives Documentaires en Education, Lyon, I.N.R.P., 61, 2004. De la notation à l’évaluation en Education musicale : des représentations d’enseignants,PhD Dissertation, University of Paris-Sorbonne (Paris IV), 2004, 638 p.
du Diplôme d’Etudes Musicales , Musiques et Danses en Bretagne, 2003, 192 p.
en Education musicale, Research report, O.M.F., série “Didactique de la musique” , University of Paris-Sorbonne (Paris IV), n° 26, 2003, 32 p.
Biennale de l’éducation et de la formation, APRIEF/INRP/Biennale. Paris, n° 301, 2002, p. 249-250. Recording: a useful tool in vocal activities, Certificate in Music teaching, IUFM, Rouen, France, unpublished, 2001, 37 p.
formation, à propos d’évaluation formatrice en Éducation musicale,Master Dissertation, University of Paris-Sorbonne (Paris IV), 1999, 100 p.
Cognitive Study of Kindertotenlieder, Music Semiology, University of Paris-Sorbonne (Paris IV), unpublished, 1999, 26 p.
Report, Sociology of music, University of Paris Sorbonne, unpublished, 1999, 11 p.
L’Education musicale sous la Chine ancienne d’après le Mémorial de la musique (Yueji), Paris, University of Paris-Sorbonne, Document de recherche, O.M.F., série « Didactique de la musique », University Paris-Sorbonne, n° 12, 1999, 20 p.
From concept to context: Approaches to Asian and Islamic calligraphy, co author :Michèle Dormann, Chinese calligraphy History , INALCO, unpublished, 1998, 30 p.
Ministère de la Jeunesse et des Sports, France, unpublished, 1998, 19 p.
A propos du transfert dans le cadre d’une formation en pédagogie musicale active. Problèmes et revue de questions , Paris, University Paris-Sorbonne, Research report, O.M.F., série « Didactique de la musique », n° 8, 1998, 52 p.
Boysband group and their public, Music Sociology study , University of Paris-Sorbonne (Paris IV), unpublished, 1998, 18 p.
Sloboda and Deliège Book review, Psychology of music, University Paris Sorbonne (Paris IV), unpublished, 1998, 10 p.
Sloboda Book review, Psychology of music, University of Paris Sorbonne, unpublished, 1997, 10 p.
Un exemple de transfert en formation : les modifications des pratiques après une formation en pédagogie musicale active, Master Dissertation, University of Paris-Sorbonne (Paris IV), unpublished, 1997, 150 p.
Houssaye’s book review, Music Education, University of Paris-Sorbonne, unpublished, 1997, 14 p.
Kaufmann’s Book review, Interviews methodology, University of Paris-Sorbonne (Paris IV), unpublished, 1996, 12 p.
Quantitative methodology, University of Paris V, unpublished, 1996, 5 p.
Observation of Musical classroms in primary schools, report, University of Paris-Sorbonne (Paris IV), unpublished, 1996, 8 p.
Snyders book review, Music Education, University of Paris-Sorbonne (Paris IV), unpublished, 1995, 12 p.
Kindertotenlieder de G. Mahler , Dissertation of Musical Analyze Diploma, ENM Créteil, unpublished, 1993, 50 p.
Since 2005, manuscripts of Cedricia are classed in “Association des archives de la vie privée“. Since 2008, her diaries and her autobiography handbooks are in Association pour l’Autobiographie. Premier Festival de Permaculture 2009, Sambourg, France, 21, 22 et 23 août. Buddafield Festival,Tauton, UK, 14 au 21 juillet. 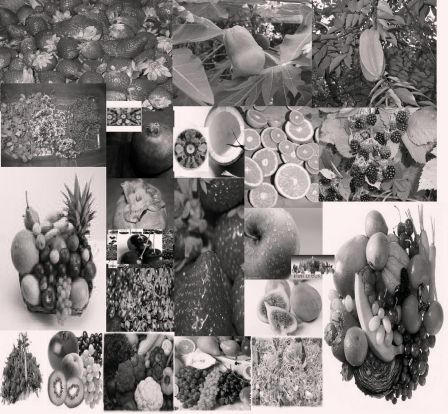 “Tout Fabrègues crusine”, January to June: Raw and Living food workshop. Earth’s Festival, Montpellier, 22th of June. Seminar on Profesionnal Gesture, IUFM Montpellier, 19-21th of June. CMAI C’VENNES, Meeting, Bassurels, France 30th of May – 1st of June. EcoFestival, Conference Creative Cultural, Toucy, Bourgogne, 9-11th of May. Terre de Liens Languedoc-Roussillon, Rodome, Aude, 10th of April. Seminar: The question of evaluation: Méthods, CNSMDP, Paris, 29th of March. Interview, Peuple et Culture, Nimes, 19th of March. Texto: Creative writing workshop, Vauvert, France, 19th of March. Dialogs K, Montpellier, France, 22th of February. Texto: Creative writing workshop, Vauvert, France, 13th of February. “Creatifs Crulinaires” Network , 10th of February. Dialogs K, Montpellier, France, 26th of January. Texto: Creative writing worshops, Vauvert, France, 23th of January. Author Residence , Les Avocats du Diable Vauvert, Vauvert 15th of January. Symposium Tensions in Music Evaluation? 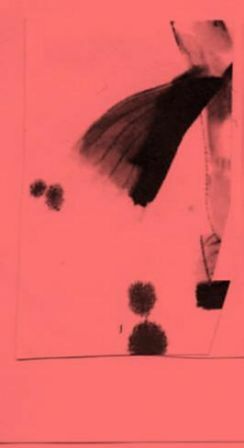 : Dispositifs et Fonctions de l’évaluation artistique, musicale, physique et sportive, ADMEE, Geneva, 9-11th of January. RECIT, Grenoble, France, 4th-6th of January. Texto: Creative writing workshop, Vauvert, 19th of December. Fête de l’arbre fruitier, St Jean du Gard, France, 24th of November. Pictures from Didier Leclerc, Vauvert, 14th of November. Interview Radio Système, Vauvert, 7th of November. Texto: Creative writing workshops, Vauvert, 7th of November. “Lire en Fête”, Aimargues, France, 20th of October. Texto: Creative writing workshops, Vauvert, 10th October. Meetings with nine classes of High School , Vauvert, 4th of October. Author Residence , Les Avocats du Diable Vauvert, Vauvert, 2nd of October-21th of December. Writing residency, Les Avocats du Diable Vauvert, Vauvert, France, 1-31th of August. Music Festival, ADEM, Geneva, 23-24th of June. Cultural Creative, Earth’s friends?, Earth Festival, Nicefuture, Lausanne, 23th of June. Inter LETs of Swiss, Lausanne, Switzerland, 17th of June. Sustainable Development Festival, APRES, Geneva, 9-10th of June. Cultural Creatives and sustainable developement, Soleillades Festival, Sierre, Switzerland, 25-27th of May. Brockwood Park School, Krishnamurti FoundationBrockwood, United Kingdom, 16-22th of May. Tango Festival, ADEM, Geneva, 10-12 May. Cultural Creative meeting, Leysin, Switzerland, 5-6th of May. “Pianistes d’aujourd’hui”, Observatoire Musical Français, Paris-Sorbonne University, Paris, 24th of April 2007. Rencontres Interartistiques, Observatoire Musical Français, Paris-Sorbonne University, Paris, 19-22th of March 2007. Press Conference Cultural Creative people, Paris, 14th of February 2007. IFUW, Geneva, 8-13th of February 2007. Evaluating the Impact of Arts and Cultural Education on Children and Young People, European and International Research Symposium, Paris, 10-12th of January 2007. Douceur et Harmonie, Serralongue, France, 22th-31th of December. siècle, ADMEE-Europe, Luxembourg, 11-13th of September. European choir’s conductors teachers meeting, Paris, France, 3-5th of November. Jury of Master Dissertation, Tecfa, University of Geneva, Switzerland, October. “Teaching music in Great Britain, International music crossroads”, “Les carrefours de la musique”, Paris, France, 19th of October. Music Festival of Taiwan, ADEM, Geneva, Switzerland, 4-14th of October. Symposium et Communication: Etat des lieux et spécificité de l’évaluation artistique et sportive au 21e siècle, ADMEE-Europe, Luxembourg, 11-13th of September. 6th Noces harmoniques, Les Camails, Thoronet, France, 26-28th of August. Seminar of children choir conductors, Europa cantat XVI Festival, Mainz, Germany, 28th of July – 6th of August. Cend-art, France, 5th of July. “Etude diagnostique sur les représentations d’enseignants relatives à l’évaluation des performances musicales”, Association de Suisse romande de recherche en Education Musicale, Lausanne, Switzerland, 10th of May. “Attitudes of Music Teachers concerning Final examinations in the French Music Conservatoires”, MENC, Salt Lake City, USA, 19-23th of April. Conference ” La professionnalisation du musicien” , Cité de la musique, Paris, France, 20th of March. for the 21st Century, UNESCO, Lisbon, Portugal, 6-9th of March. of Music and Drama, London, United Kingdom, 10-16 th of February. Pitch of AC Start up, Venturelab Training, Geneva, Switzerland, October. L’évaluation musicale en milieu scolaire”, Haute Ecole Pédagogique, Bienne, Switzerland, 23th of June. Recording of”Earth Hymn “, Studio Titre A, France, November. WIN , Hotel Crown Plaza, Geneva, Switzerland, 6-8th of October. “De la notation à l’évaluation : des représentations d’enseignants en Education musicale”, ADMEE, IUFM Champagne-Ardennes, Reims, France, 24-26th of September. Europacantat, Lyon, France, 21-23th of September. Concert Z. Kodaly, Music Academy of Budapest, Hungaria, 6-12th of March. PhD Presentation, Sorbonne University, Paris, France, 6th of December . Dharma Yatra, Aude, France, 15-22th of July. ISME Conference, Tenerife, Canaries Islands, 5-12th of July. IXth International CHIME Meeting “Orality & Improvisation in East Asian Music”, University Paris, Sorbonne Paris, 1-4th of July. “Lifelong music”, Working Music Education: Research, Policy, Practice Seminars, Royal college of Music, London, 19th of April 2003. 6th International Biennale of Education and Training organized by I.N.R.P. (Institut National de Recherche Pédagogique), Paris, June, 2002.